The founder and owner of the chain of BusaGo restaurant- Nikhil Chib, has given this amazing thing to mankind. What is that, you ask? Awesomely delicious food on the Go, versatile variety of food from different parts of Asia, perfect quality and quantity of food to fill your tummy and to fulfil your cravings of Asian food! I tried Burmese Kaukswe but it wasn’t my type! My go to's are - Tibetan chicken momos, sesame chicken bowl, spicy chilli noodles, 3 flavoured prawns, Basil chicken bowl and Tom Yum soup 🥘. All of these are just so different and so pleasing to taste! The Chib sauces offered in the restaurant are all made using Nikhil Chib’s recipes which adds the icing to the cake! 😋 Any bowl mentioned above serves 2 people. You don’t need an occasion to visit this place. Be it lunchtime, during your work hours, post-work meal, dinner or something for the weekend! BusaGo outlets are spread across the city, so find the one closest to your area and what are you waiting for?! 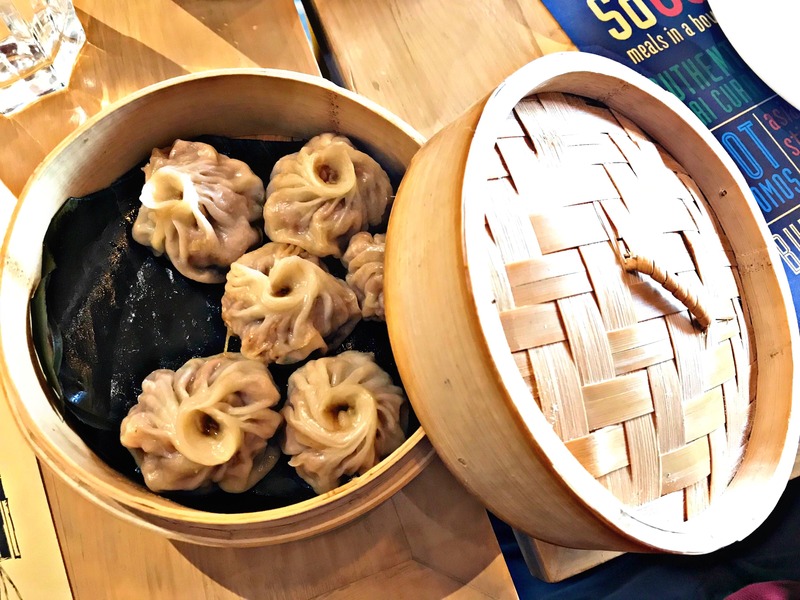 Need more options of momos or gyozas or dumplings on the menu. Otherwise nothing else to point out to be honest!